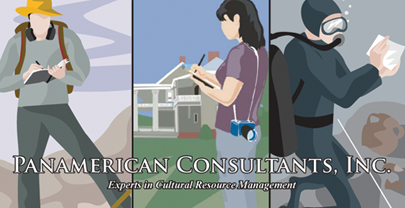 Panamerican has performed cultural resources investigations in almost every state in the continental United States as well as its territories and protectorates. Our system of corporate and branch offices provides you with unparalleled expertise in cultural resource management. Panamerican offices interact continuously to provide access to the latest technology and to specialists in terrestrial and maritime archaeology and architectural history. Professional personnel at PanAmerican include full-time qualified archaeologists, architectural historians, and historians. Each of these employees meets or exceeds the Secretary of Interior's standards and guidelines for archaeology and historic preservation and our archaeologists are RPA certified. Additionally, Panamerican employs a full-time support staff, including crew chiefs, field technicians, laboratory technicians, draftspersons, photographers, editors, and clerical workers.